Heavy duty tubular Mortice latch back to back, with Code Free entry option. The outside lever handle will retract the latch after a correct code is entered. 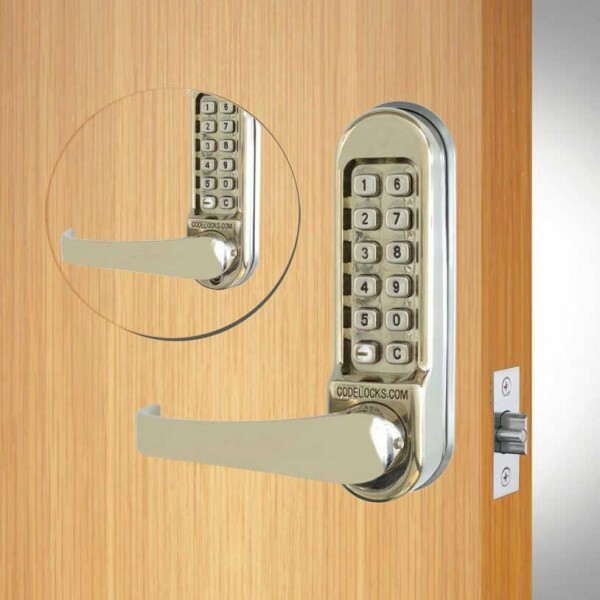 The spring loaded latchbolt will lock automatically when the door is closed. Code Free access option on the keypad. In Code Free mode the outside lever will retract the latchbolt without using a code. This option is ideal for day to day use when punching in a code is not necessary.